Christmas for me this year is (hopefully) going to be one of the best Christmas's i've had in the past few years, as i've had lots of festive things planned to make December extra festive and fun, and as we're hosting this year it just makes Christmas that extra bit special! As this is my last post before Christmas, I firstly want to wish you all a Merry Christmas and secondly I also thought i'd share the ways in which i'll be winding down in the run up to Christmas. Having some down time - In true Christmas style, i'll definitely be enjoying some down time for now until New Year as I officially break up from work today! 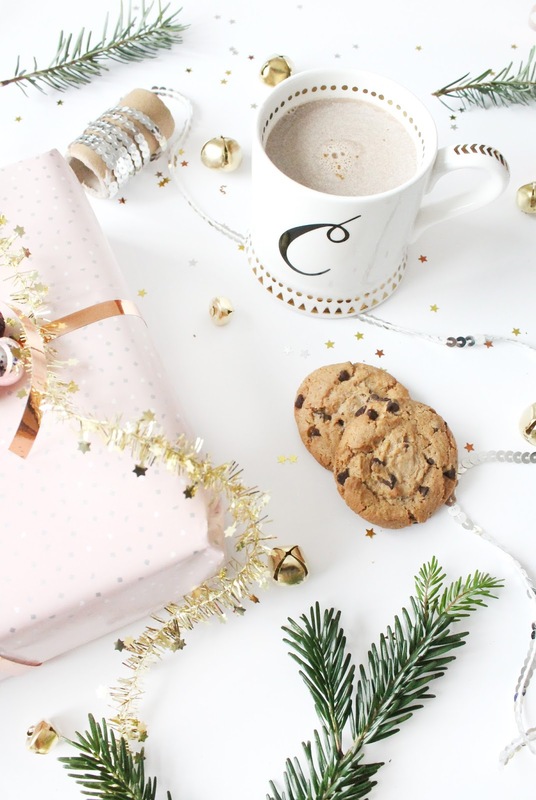 In terms of the blog, I will be taking the Christmas days off from blogging but I will be back with a 'what I got for Christmas' style post early next week, so keep your eyes peeled for that. Catching up with friends and family - In the run up to Christmas i've ensured to make plans to see friends and family, of who I don't see that often by just taking advantage of this time as it's not often that I get the time to see them whenever I can. Watching Harry Potter back to back - It's not Christmas without a bit of Harry Potter, and i'll definitely be whipping out my box set whilst snuggling up on the sofa with a large chia latte and a cookie or two! Prepping the Christmas day feast - As we're hosting this year, i'm really looking forward to the prepping of the Christmas day dinner, which might sound more stressful but I absolutely love it as it get's me into the festive spirit good and proper! Wrapping the last few presents - It's not Christmas if you haven't finished wrapping presents until the day before is it?! I've absolutely loved wrapping my presents this year, as i've gone for a cute little theme that I just love! If you're still stuck for some wrapping inspiration, make sure to check out my latest post. How are you winding down for Christmas? Hello, i'm Charlotte.Designer, Fashion Grad, tea lover and self confessed shopaholic. © Style & Splurging 2017.